Having a room in your home that gets much hotter than the rest of your living area can become a little irritating, especially if you don’t know why. If you have a room in your home like this, then take advantage of the tips below. However, before you start diagnosing the problem, it’s good to have a basic understanding of what the term ‘load’ is. The word ‘load’ refers to the amount of heating and cooling required to heat or cool a living area. This is measured with the use of proper load calculation tests. These tests take several things into account like the size of your living area, the height of the ceiling, your windows and the different kinds of appliances you have hooked up. The problem is, several contractors choose heating and cooling units for their clients without doing the proper load calculation tests. Proper load calculation tests are important in making sure that you install the right sized HVAC system into your home. A HVAC system that’s too small for a home won’t be able to properly heat the entire living space, and it won’t be able to cycle it properly. In addition to this, different rooms have different load sizes. For instance, rooms with tall ceilings, rooms that are built over a garage and rooms that that have windows that face either east or west are all prone to have much higher heat loads that the rest of the house. Why is this? All of these rooms allow heat to travel up through the floor or have three sides that face the outside. In many situations, it’s a combination of both. As a result, these rooms will heat up a lot faster. So, what’s the solution? First, call a professional and have a proper load calculation test performed on your home. This will give you a good idea as to what sized system you should have running in your home. It’s essential to make sure you hire someone who has experience in this area. An experienced professional will be able to perform the proper load calculation tests and recommend the right system for your home. In addition to a lack of proper load calculation tests, another possible solution is to keep the air flow cycling in your home. As mentioned above, your home will need the right sized HVAC system installed. However, making sure the air flow is properly cycling is just as important. Although investing in a more efficient system isn’t always feasible, there are other methods of increasing the air flow cycle in your home. First, read the instructional manual and make sure your HVAC is on the right setting. 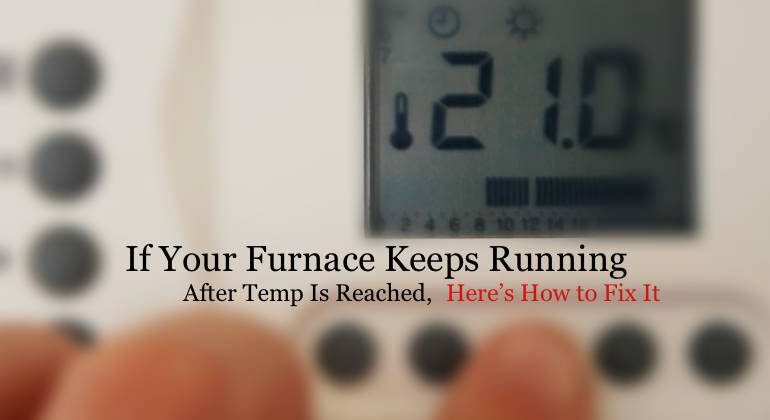 It’s recommended that you set your thermometer to run continuously at a lower temperature instead of running it back and forth from full blast to completely off. This scattered heat flow can result in one room being hotter than the rest. Second, you can also set up a fan or two in specific spots throughout your home. This will help move to heat the different parts of our living space. Although you can use any style of fan you like, it’s the box fan that’s the most effective. These fans can be purchased at most home improvement stores. Lastly, most rooms in a home will have vents that can be shut and reopened quite easily. If one room is hotter than the next, simply close the vent to decrease the temperature. Even though this won’t solve the problem completely, it’s definitely helpful. Another reason why one room may be hotter than the rest of your living area can be attributed to the warmth escaping from your home through either your windows or your doors. For example, if your living room is fairly warm but the windows and doors in the other parts of your home are not air tight, the warmth will escape. In return, your HVAC system will then try and compensate by maintaining the temperature that your thermostat is set to. As a result, your living room will continue to get hotter while the other parts of your home lose this heat. To fight this issue, you can either invest in energy efficient doors and windows, or you can use plastic to make them more air tight and hold the heat inside. You’ll also want to inspect your ducts. If your ducts are not air tight, the heat can escape from these outlets too. If you think your ducts are not air tight, you’ll want to call a professional.